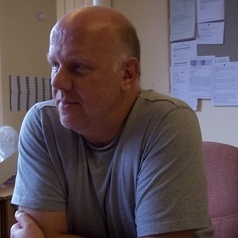 Stephen Gorard is a Fellow of the Academy of Social Sciences, member of the ESRC Commissioning Panel for Strategic Networks and Seminar Series, and of the British Academy Small Grants Panel. His work concerns the robust evaluation of education as a lifelong process, focused on issues of equity and effectiveness. He is a widely read and cited methodologist, involved in international and regional capacity-building activities, and used regularly as an adviser on the design of evaluations by central and local governments, NGOs and charities. He is currently an evaluator for the European Commission Directorate-General for Education and Culture, the Department of Work and Pensions, the Food Standards Agency, the Learning and Skills Information Service, and the Educational Endowment Foundation. He is working on identifying the causal link between attitudes, behaviour and school attainment for the Joseph Rowntree Foundation, patterns of school intakes for the British Academy, enhancing parental involvement for the Nuffield Foundation, multiple randomised controlled trials of policy and practice for the Educational Endowment Foundation, a data observatory for local communities, and improving social science research for the ESRC RDI. He is author of over 1,000 books and papers.